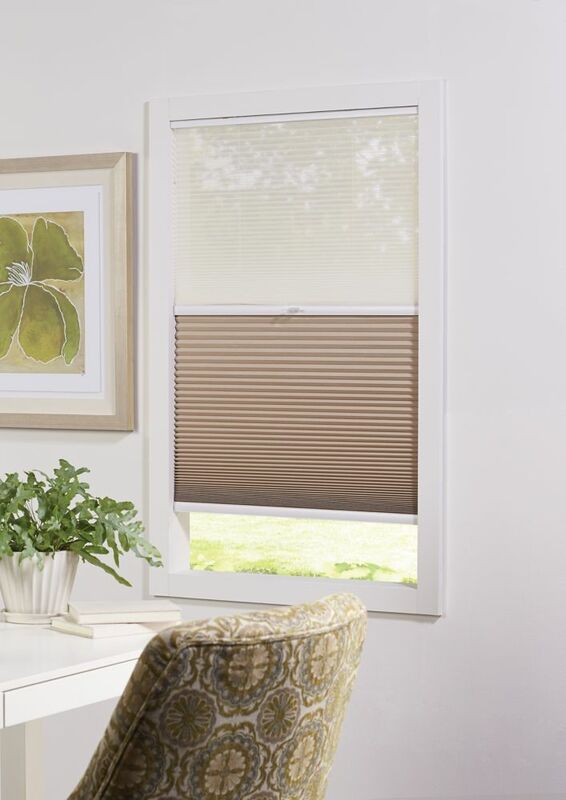 Cordless Day/Night Cellular Shade Sheer/Sahara 18-inch x 72-inch (Actual width 17.625-inch) The right window shade can refresh your room with light and colour. When making your choices, be sure to think about how much light you need. A sheer cellular shade will filter light gently into your space, while a black out cellular shade will stop unwanted brightness. You'll also want to consider tone and texture. What shade will complement your furniture, floor coverings and wall colour? Cordless Day/Night Cellular Shade Sheer/Sahara 18-inch x 72-inch (Actual width 17.625-inch) is rated 3.0 out of 5 by 1. Rated 3 out of 5 by LDSS from Alas, size again! I have this one's bigger sister, & the sheer/blackout(Sahara) combo's perfect, fairly easy to operate, & WAAAY cheaper for the RV then from an RV outfit. Would dress a number of windows if there were more size choices, however. Thank you for your question. Try, lifting and lowering the shades up and down until the shade is leveled. Any custom made (window size is 38&quot; x 94&quot;) of the&nbsp;Sheer White / Sahara HDC Day Night Cellular? &nbsp; If yes, could you please give me a quotation? &nbsp;Thanks.